Audi Repair, Service and Maintenance San Diego | Autoexcel, Inc.
Get your vehicle serviced, so you can enjoy driving it. We are the preferred alternative to the dealership for all scheduled maintenance of your Audi. *We offer repairs on certain Audi models. 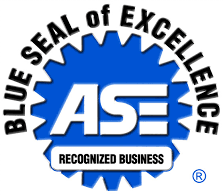 Excellent care of your vehicle by the Factory Trained ASE Certified Master Technician. Repair and maintenance performed in a timely fashion. We deal with you respectfully and honestly. Our service facility is waiting to provide you with the absolute finest service! Finding the best service for your Audi never been so easy. VW - Audi Service & Sales At Its Best In San Diego!